I've written a book about writing! But don't believe anyone who insists there are NO rules for writing. There are rules: the mechanics. The craft, as opposed to the art. The tools for sculpting clay or stone, or spinning and dyeing thread for weaving, or learning to play scales and read music and keep your instrument in tune, when creating music. The rest -- the "art" portion -- is flexible and adapts to what works best for YOU the writer. The technique for playing the instrument, the point of view and voice for the story, the genre you write in, the images you create from stone and clay, the pattern of the cloth you weave, and the colors you choose to use. When you understand the why of the rules, then you can bend or break them. So Do Yourself A Favor and learn what's hard-and-fast, and what is flexible. It'll save you pain and effort and wasted time in the long run. This collection of advice started as blog postings (read: semi-rants) while editing people who had something to say … but didn't take the time to figure out how to say it. 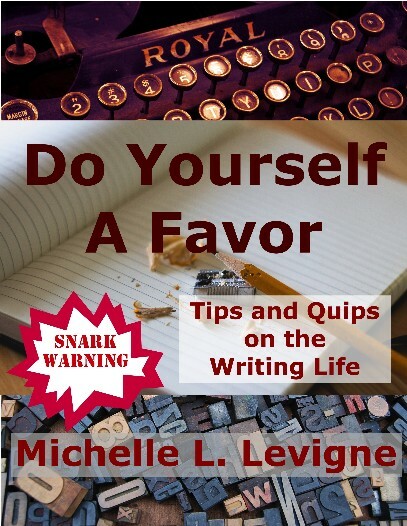 Basically, whenever I ran into something noteworthy in my own writing journey, or things I encountered too often in editing, I blogged about it, hoping the things that frustrated or fascinated me would be helpful to others. Along with those blog posts, revised because of timeliness or to cover a broader subject, or to fit in new discoveries along the way, or because I repeated myself … I offer bits of advice about topics that other authors have found worthy of discussion. Or argument. Or mockery. Or complaint. Or wailing. Or amusement of the I'm-losing-my-mind variety.